We Are One Of The Largest International Buffet & Grill IN Savannah, GA. Great Food At Great Price! 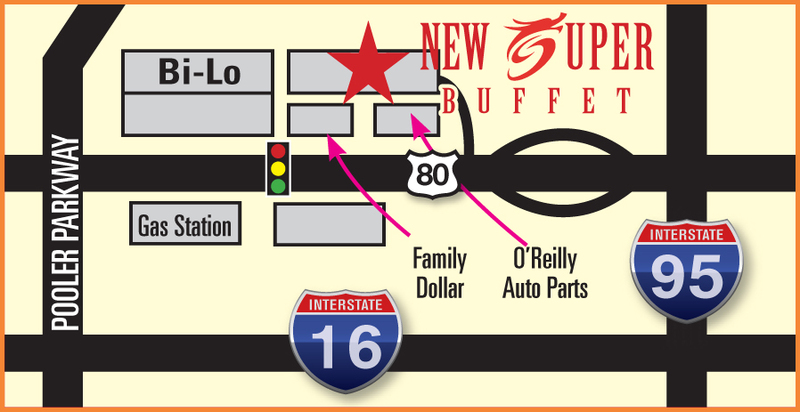 All dishes served at New Super Buffet are guranteed daily fresh, delicious, and healthy. The New Super Buffet is known for serving All You Can Eat Buffet, and all your favorite Chinese dishes, including General Tso's Chicken, Happy Family, Hunan Beef..
Over 100 Items. One of the largest International Buffet & Grill in Savannah, GA. Great Food At Great Price! 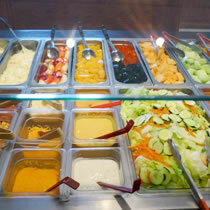 All dishes served at New Super Buffet are guranteed daily fresh, delicious, and healthy.